"The prevalence of the types of HPV that commonly cause cervical cancer in women has dropped by about half in girls ages 14 to 19," said Dr. Thomas Frieden, CDC director. "That decline is even better than we had hoped for." Those numbers are surprising, said Frieden, because only about a third of girls have gotten all three recommended doses of the vaccine. He suggested that the extra immunity may come from girls who only got one or two doses, or so-called "herd immunity." That occurs when those who have been vaccinated cause there to be less virus floating around, therefore lowering the risk for those who haven't been vaccinated. "This should be a wake-up call that we need to increase vaccination rates, because we can protect the next generation of girls from cancer caused by HPV," said Frieden. "Fifty thousand women alive today will develop cervical cancer that could have been prevented if we had reached our goal of an 80% vaccination rate." Why aren't more girls getting vaccinated? Frieden says the blame is split between doctors and parents. "Providers are not consistently giving recommendations for vaccination and are not encouraging the vaccine at every (patient) encounter," he said. "Parents commonly say they don't think the vaccine is needed, or that their teen is not sexually active, or they have concerns about the vaccine." "We vaccinate people well before they are exposed to an infection, as is the case with measles," said Frieden. "Similarly, we want to vaccinate children well before they get exposed to HPV." 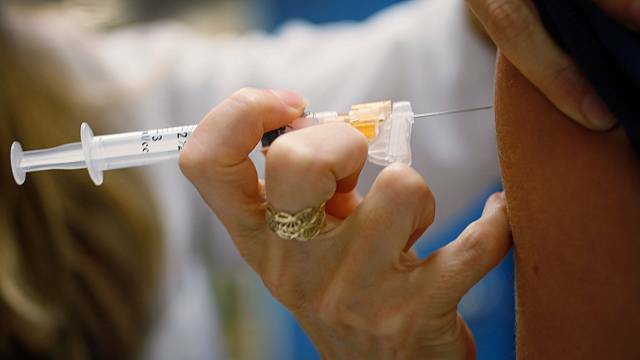 "A drop of 56% in the HPV types contained within the vaccine is pretty substantial," he said. "I don't think anyone would have guessed we'd see a drop that high before this study." Huh also echoed Frieden's concern about low vaccination rates. "I think we're all surprised that you'd see a drop that high with a vaccine penetration that low," he said. « Previous entryWill Facebook’s organ donor success stick?